Physical characteristics: The rose-ringed parakeet has green feathers, black feet, and a red beak with a black band around it. The rose ring is the black-and-red collar around the bird's neck. Birds measure 15.7 inches (40 centimeters) from their heads to their tails. They weigh from 4.1 to 4.9 ounces (116 to 139 grams). Geographic range: Rose-ringed parakeets live naturally in the African countries of Sudan, Mauritania, Uganda, Eritrea, Ethiopia, and Somalia. In Asia, they range in India, Sri Lanka, Pakistan, Myanmar, and China. 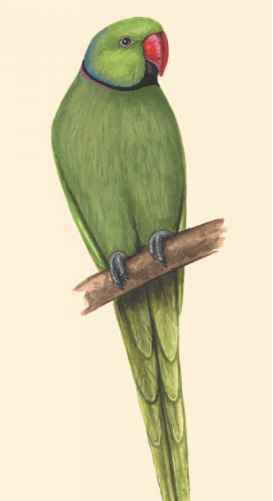 Parakeets have been introduced into countries including the United States and England. Habitat: Rose-ringed parakeets are adaptive, able to adjust to living conditions in a range of countries. 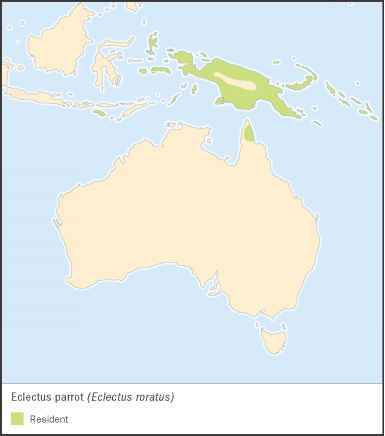 They live in deciduous forests, grassland, and rainforests. In addition to their natural habitats, parakeet populations grew in the United States and England after caged birds escaped or were released by people. Diet: Parakeets eat seeds, grain, flowers, fruit, nectar, and berries. Behavior and reproduction: Rose-ringed parakeets are semi-nomadic, traveling to find food. They usually travel in a small flock, but some food sources can attract a flock of thousands of birds. Parakeets are monogamous. The female selects the nest location and lines it with wood chips. The nest may be in a hole in a tree or one in a house wall. The hen lays a clutch of three to four eggs. 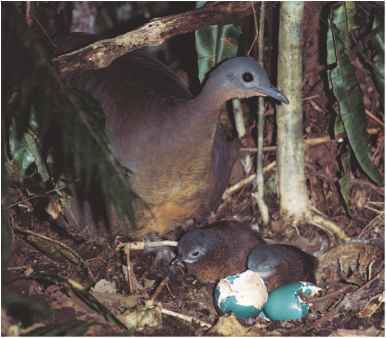 They hatch in twenty-two days and are cared for by both parents. Rose-ringed parakeets and people: Rose-ringed parakeets are valued as cage birds. In the wild, they are sometimes considered pests because they destroy crops while trying to feed.